Sunday, 6-23-2013, was the best...day...EVER! We spent the day in the north woods and waters of Michigan. We experienced nature. We met up with some old friends and made some new ones. We visited one of the historic Higgins Lake old-time cottages. Even hooked up with a few of our state fish - the brook trout. And we crashed the 2013 Michi-Glass gathering--a group of flyfishers loyal to the fiberglass flyrod. 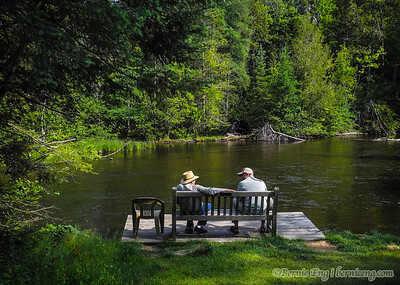 Brook trout - AuSable River, 6-23, 8:34 a.m.
Flyfishing friends chat along the river. 6-23, 8:48 a.m. 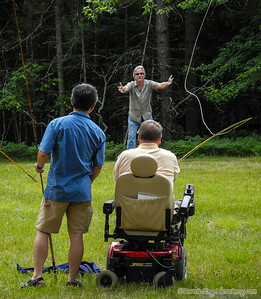 Lessons on spey rod flycasting, complete with target. 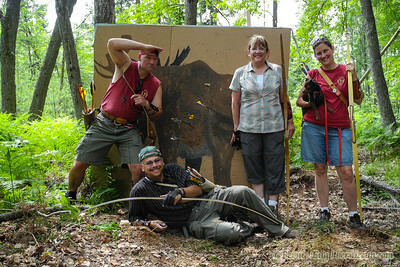 6-23, 10:34 a.m.
Moose and Squirrel: Our partners of the bow pause at a hand-painted moose target during the Michigan Traditional Bowhunters event at Hanson Hills in Grayling. 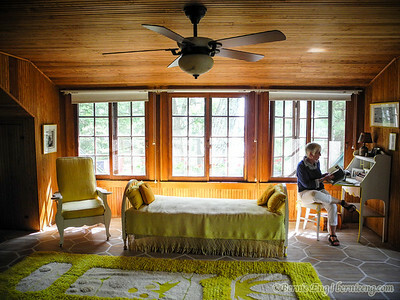 6-23, 12:04 p.m.
One of the classic rooms in an old-time Higgins Lake cottage. 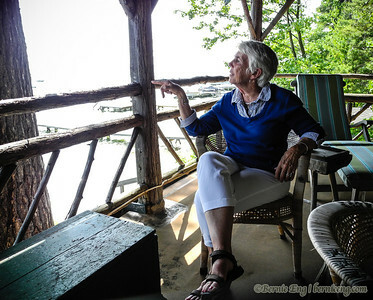 6-23, 3:33 p.m.
Our old friend Libby Mundy peers off a roof-top porch on the boathouse of the family cottage at Higgins Lake. 6-23, 3:58 p.m.